A beautiful coastline, known only to South Africans, where the magnificent traditions of British and Xhosa meet rolling waves and endless beaches. 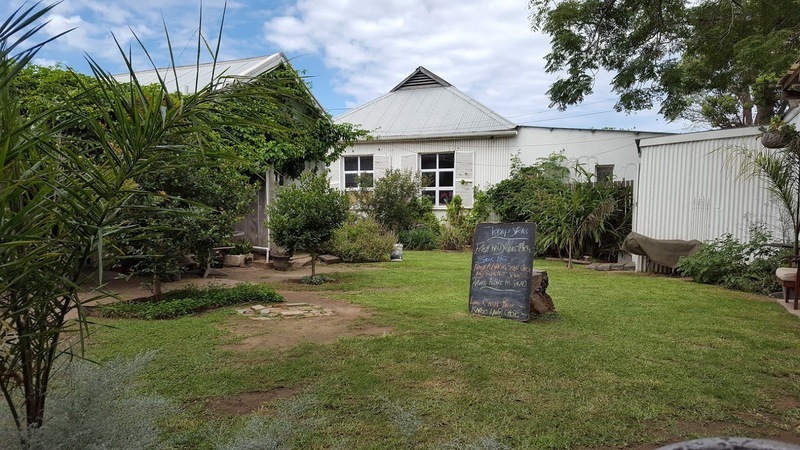 However much I love Port Alfred I would never come to the area without spending a night or two at the marvellous Pig and Whistle in Bathurst. 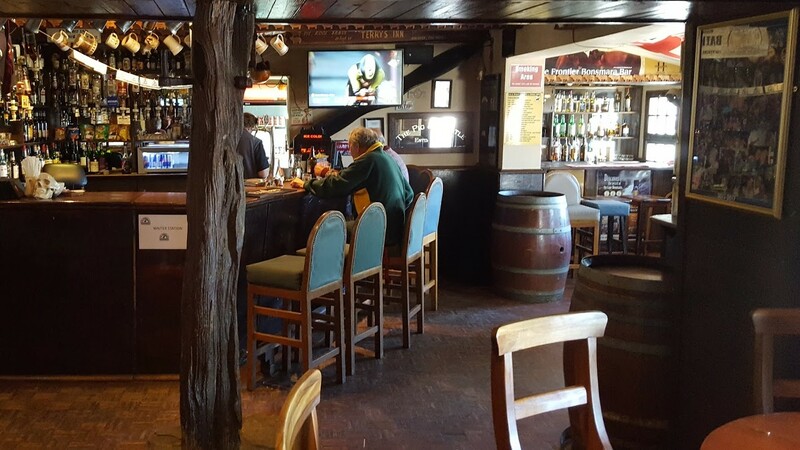 Bathurst is a tiny little town, inland of Port Alfred, and the Pig and Whistle is the attraction here. They tell me that they are the oldest pub in South Africa, maybe the oldest pub in Africa. Guests have been having one too many here for close on two hundred years and any visitor is sure to make new friends over a few drinks. Last time I was here I was invited to the 50th birthday party of one of the local farmers - what a great guy! Thank you Craig for a memorable evening. It isn't just the Pig and Whistle though, you've also the biggest pineapple on earth - 16 meters high and so big there's a museum inside all about... you've guessed it... the pineapple. It's a fake one, dedicated to this area that produces some of the juiciest and tastiest pineapples on earth. 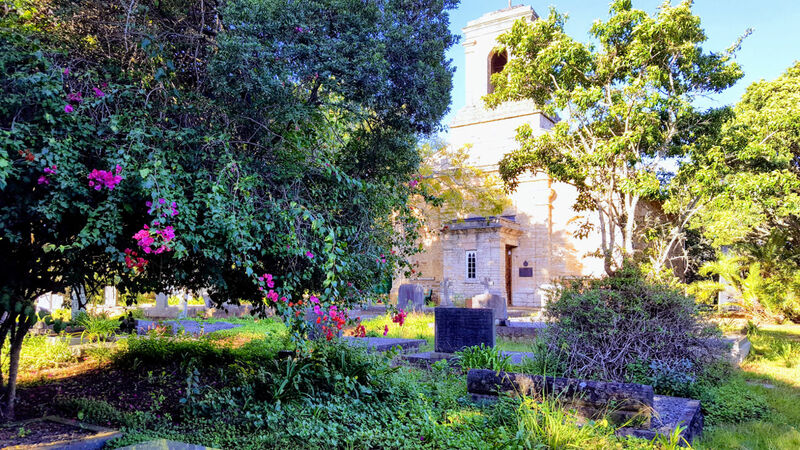 The old Anglican Church, the oldest in South Africa, is well worth a visit. 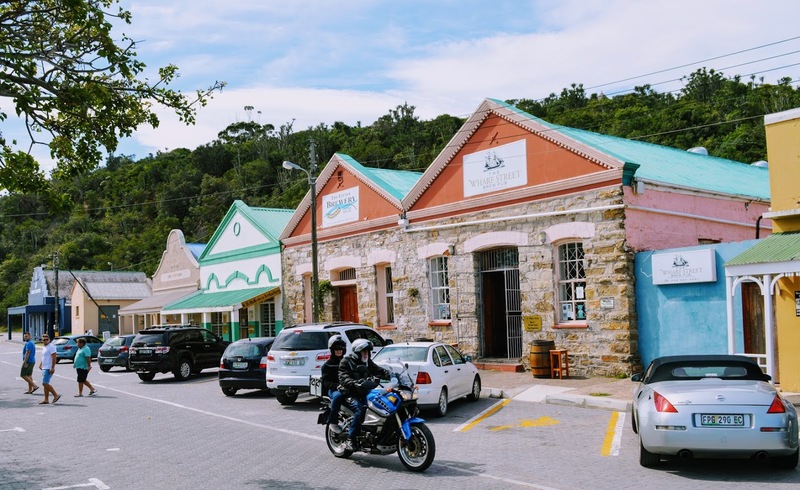 Spend time exploring the funny little shops, most run by artists and eccentrics who are drawn here from all over South Africa. The combination of artist's community, hospitable farmers of English origin (who settled here in 1820) and the colourful local Xhosa culture makes for an inspiring mix. Especially when the setting is a little town that seems to have been dropped into Africa straight from Devon, England. Visit the Toposcope, set upon a hill on the edge of town, for more on the history of the area and some great views of the beautiful countryside. Definitely the Pig and Whistle. Good hearty pub food made from locally sourced ingredients . You've got to try their kudo (a huge antelope) and red wine pot pie - the tastiest kudo pie I've ever had. They also make arguably the best fish and chips south of the UK and of course their draft beer, craft-brewed in nearby Port Alfred, is superb. 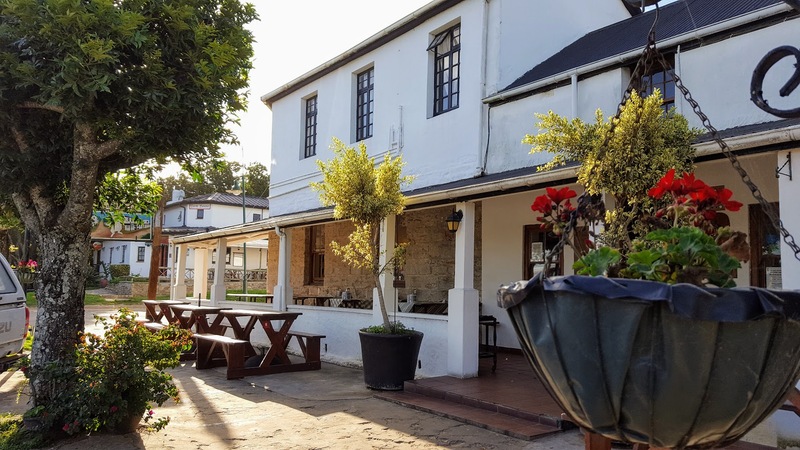 If you'd like to stay in Port Alfred itself then I can highly recommend the Villa de Mer Guesthouse; the location is perfect, right on the beachfront. Pretty much everything else about the the Villa de Mer is perfect too so this is definitely my pick. If you can't get in at the Villa de Mer, or want something more affordable, then don't be too concerned; there are a surprising number of other excellent accommodation options to suit all budgets - here is the full selection. A beautiful Blue Flag beach with all the bathroom and other facilities that the Blue Flag status offers and spotlessly clean sand and waters too. The life guards mark out a section of the beach early each morning as safe for swimming. All you need to do is stick between the flags and have fun. If you drift out of the marked zone they will whistle for you to move back within the area and in the unlikely event you get into difficulties they'll be there in a flash to save you. Except for December and January, when the South African schools are on holiday, you are likely to have the beach pretty much to yourself with enough sand to build the world's biggest sandcastle... if you or your children are so inclined. Most children love the waves but those under six or seven years old might find them a little too much. If so then head to Kidd's Beach in the river mouth. At Kidd's the water is flat and calm - perfect for younger children to play around in. 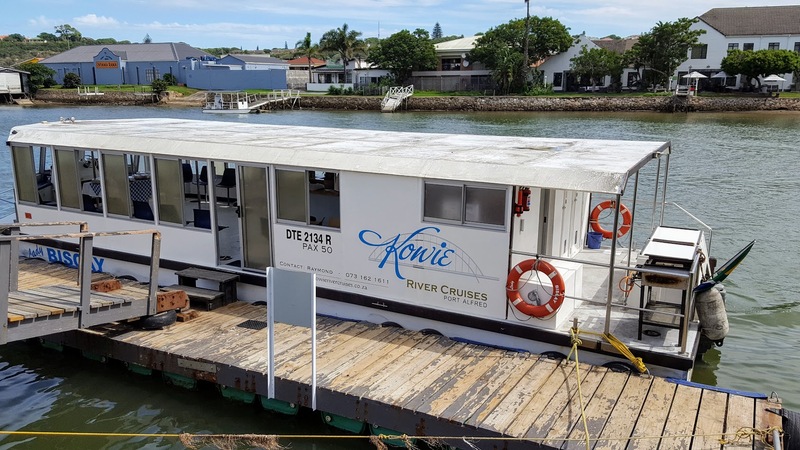 Boat trips up the Kowie River are a fabulous way to really get to know this little town and enjoy the nearby scenery. There are various companies that offer cruises, Kanie-Kla-Nie River Cruises has the best reputation. You can also hire your own little boat from Halyards Boat Hire in the harbour. I'm not much good at golf. In fact I'm hopeless. My son has much more of an idea than I do and rates the Royal Port Alfred course highly. The course is not too difficult on a windless day but that doesn't happen much here. Normally you've a sea breeze to help make things a bit more challenging for better golfers. Down-right impossible for me. It's one of the oldest courses in South Africa and one of only a handful allowed to be called a Royal course; thanks to King George bestowing the title on the club in 1924. William (my son) loved the golf. I loved looking at the wild antelope roaming free and a lone giant tortoise - who retreated quickly back into his shell once I began to hack away at the ball. I'm not much for museums but this one is well worth a visit. The history of this area is fascinating and the volunteers who run the museum have so many stories to tell about those first British settlers who moved here in 1820. Tales of overcoming impossible odds, and making their home in what was then utter wilderness. Truly incredible. I could have spent the whole day chatting and, after all that chatting, I saw the town in a whole new light. I now love it more than ever - a big thank you to the museum volunteers! Galloping across the golden sand as the sun rises over the ocean; the surf spraying cool upon your face, the sense of freedom, of joy... indescribable. For detail contact Three Sisters Horse Trails. 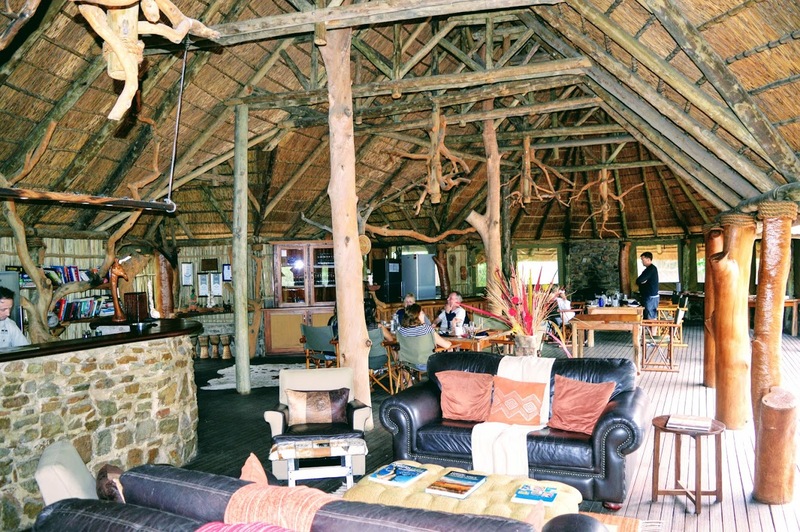 Take a couple of days extra to go on safari at Sibuya. It might seem expensive but it is a real bargain for an experience you'll tell your grand-children about. The wild animals, the unbelievable scenery, the stars at night. I can't even begin to tell you how special it all is. You'll find out more about the experience here. 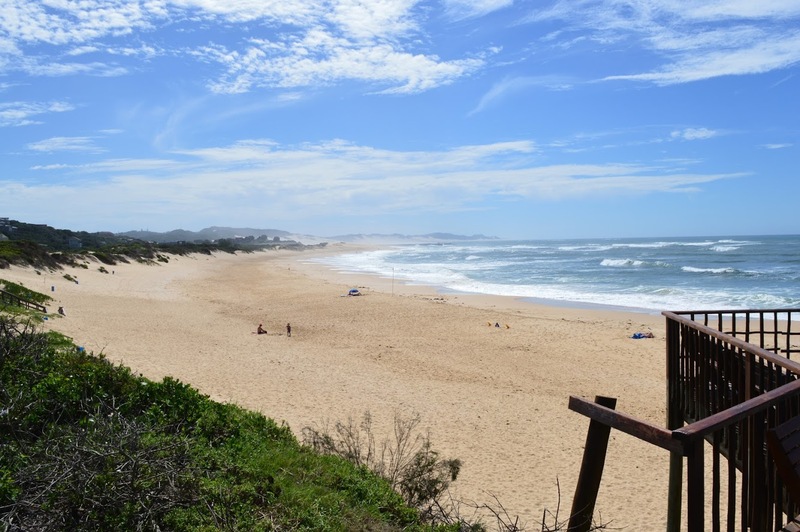 Also worth a visit is the quaint little town of Kenton on Sea which offers some of the best beaches in the entire Eastern Cape region of South Africa. 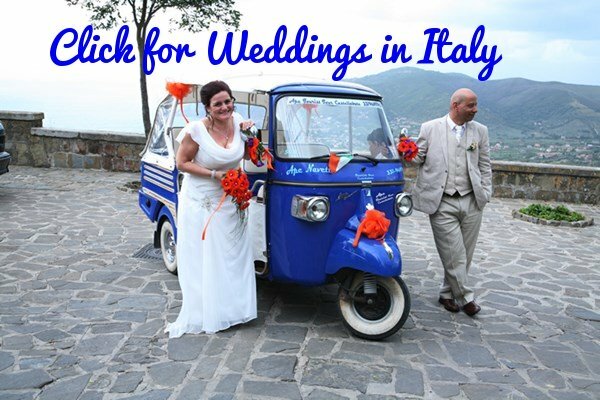 You'll need a car to get there though and it is best to rent before you leave home. This way you get great deals and you can collect it a Port Elizabeth airport on arrival. 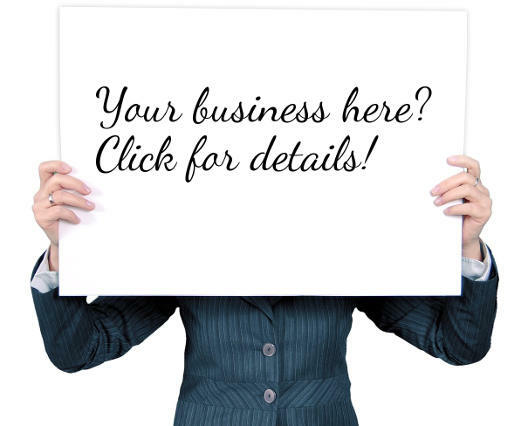 Click for details on the company I normally use. The local brewery, The Little Brewery on the River, produces some really excellent beer. You can try their Kowie Gold Pilsner - really world class - and their other beers at the adjoining Wharf Street Brew Pub. They do good food too and, if you like meat, then order their specialty home-made pies or succulent lamb shanks; you won't be disappointed. For seafood try Graze by the River; their seafood curries and freshly caught fish of the day (the type of fish changes daily according to the catch) are the highlights.